Devils Postpile in California is a great park to hike with your pet. They are welcome on all the trails within the monument and can be off leash in the surrounding National Forest. The monument is also a joining point for the Pacific Crest Trail and the John Muir Trail. If you choose to travel on one of those trails outside the monument check on the pet restrictions for that trail some sections do have pet restrictions. Keep an eye on your dog’s feet, the terrain is volcanic in origin and the pumice is extremely abrasive. 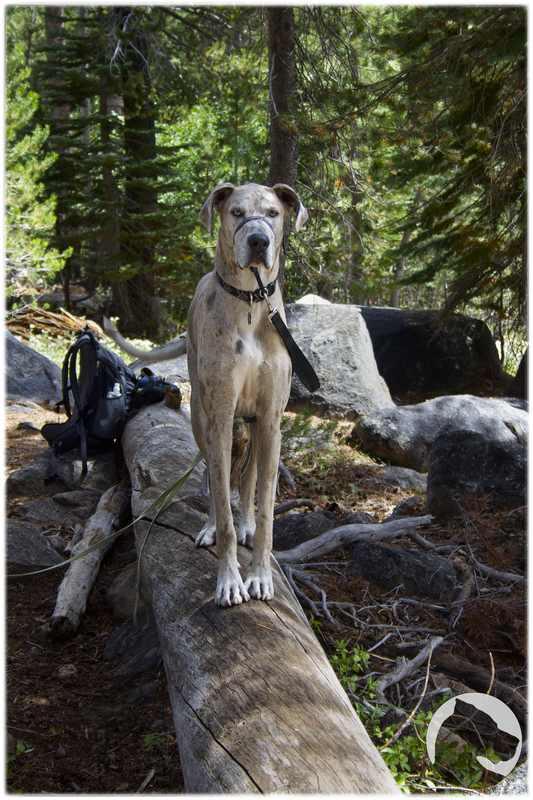 This entry was posted in Dogs and National Parks, Great Danes and tagged Devils Postpile, forest, Great Dane, hiking, National Monument, National Park week, National Parks, pet portraits. Bookmark the permalink.